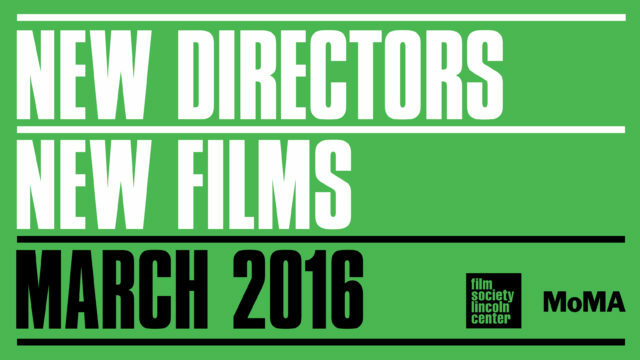 Celebrating its 47th edition in 2018, the New Directors/New Films festival introduces New York audiences to the work of emerging filmmakers from around the world. Throughout its rich, nearly half-century history, New Directors has brought previously little-known talents like Pedro Almodóvar, Chantal Akerman, Hou Hsiao-hsien, Christopher Nolan, Laura Poitras, Spike Lee, and Kelly Reichardt to wider audiences. We hope you’ll join us in celebrating a group of filmmakers who represent the present and anticipate the future of cinema: daring artists whose work pushes the envelope and is never what you’d expect. Presented by the Film Society of Lincoln Center and the Museum of Modern Art. 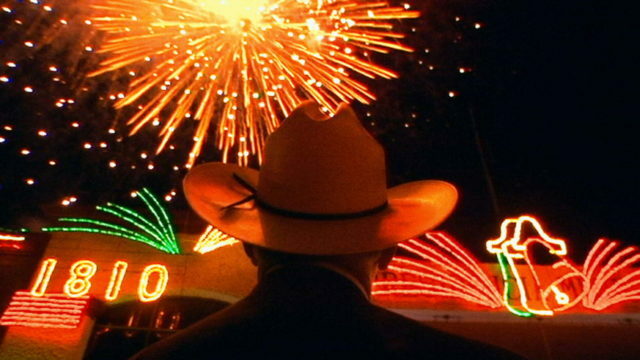 Celebrating its 47th edition in 2018, the New Directors/New Films festival introduces New York audiences to the work of emerging filmmakers from around the world. Throughout its rich, nearly half-century history, New Directors has brought previously little-known talents like Pedro Almódovar, Chantal Akerman, Hou Hsiao-hsien, Christopher Nolan, Laura Poitras, Spike Lee, and Kelly Reichardt to wider audiences. We hope you’ll join us in celebrating a group of filmmakers who represent the present and anticipate the future of cinema: daring artists whose work pushes the envelope and is never what you’d expect. Before rapper M.I.A. became a global sensation, she was an aspiring filmmaker, having made countless personal video diaries. These eventually find their way into this intimate portrait constructed by first-time documentarian Stephen Loveridge. For his visionary and political debut feature, which premiered to great acclaim at Sundance in 2018, writer-director RaMell Ross spent five years intimately observing African American families living in Hale County, Alabama. 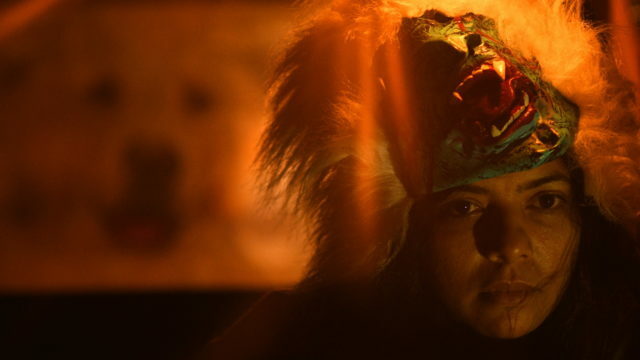 This film introduces a distinct and powerful new voice in American filmmaking. The gracefully shot, uncommonly tender 3/4 evokes the intimacies, joys, and tensions of a contemporary Bulgarian family facing an uncertain future; the father is an astrophysicist with his head in the clouds, his son a waywardly antic teenager, his daughter a gifted but anxious pianist. Adolescence creates intense pressure for any girl, but it’s particularly strong for 17-year-old Ava, buffeted by the harsh strictures of home and school in contemporary Tehran. In Tiago Melo’s fabulous—and fabulist—Azougue Nazare, no measure of hellfire preaching can quell the boisterous and bawdy passions of Maracatu, an Afro-Brazilian burlesque carnival tradition with roots in slavery that takes place in the northwest state of Pernambuco. The second feature by filmmaker and photographer Khalik Allah immerses us in Jamaica’s neighboring worlds of charismatic holy men and equally charismatic prostitutes, the sacred and the profane alike. A young woman is trapped in a tight-knit Jewish community in the Kabardino-Balkar Republic that demands her total dedication but provides her with little protection from the perpetual violence encompassing all aspects of life. This stylistically audacious opus, about an evangelical gardener returning to his hometown for his father’s funeral rites, is at once a profound film about spirituality and a unique tale of revenge. A Cape Verdean in Portugal, Miguel Moreira, also known as Djon África, travels back home to look for his birth father. This hopefully soul-searching journey quickly gets derailed as he comes across beautiful women, colorful parties, and the local liquor known as grogue. Filmmaker-artist Wittmann’s cosmic yet intimate first feature follows two women spending a weekend together on the North Sea before giving way to a transfixing meditation on the poetics of space. Dutra and Rojas’s second collaboration follows the relationship between a pregnant socialite and her new housemaid before transforming into a werewolf movie unlike any other. Huang Hsin-yao's fiction feature debut is a stylish, rip-roaring satire on class and corruption in contemporary Taiwanese society about two provincial friends who idle away their nights in the security booth of a Buddha statue factory. In this pulsating crime thriller from debut feature filmmaker Gustav Möller, set entirely inside a claustrophobic emergency call center, a police officer must bring a caller to safety. The latest by acclaimed French documentarian Emmanuel Gras follows the monumental efforts of a young Congolese man who makes a living producing, transporting, and selling charcoal. Following up her acclaimed 2011 debut Nana, Valérie Massadian has made a moving, visually striking meditation on young motherhood and the vagaries of growing up. Informed by filmmaker Shireen Seno’s childhood in the Filipino diaspora and her dual training in film and architecture, this sophomore work is a stylized evocation of a child's fanciful interpretation of the world around her. Ricky D’Ambrose’s dark, minimalist pseudo-detective debut feature follows a quiet young man (Bingham Bryant) who mysteriously disappears after starting a new life in Brooklyn's artistic circles. Screening with the director’s 2015 short Six Cents in the Pocket. A rich and formally surprising film of ideas, beautifully shot on 16mm, and featuring one of recent cinema’s most memorable musical numbers, Portuguese director Pedro Pinho’s nearly three-hour epic concerns the occupation of an elevator plant by its workers. This feature debut by one of Japanese cinema’s most exciting new voices is an evocative and surprising exploration of female friendship, parallel realities, and the mysteries of everyday life. In Georgian filmmaker Ana Urushadze’s gripping and bleakly comical feature debut, a 50-year-old Tblisi mother abandons her family to pursue a feverishly obsessive and hermetic life of writing poetry. This feature debut from Swiss Cyril Schäublin revels in dark comedy in a dystopic but formally playful study of an alienated society. In three tales, exciting newcomer Karim Moussaoui takes the pulse of modern-day Algiers, a country once riven by colonial occupation and sectarian warfare yet still abundant in beauty and promise. This sophomore feature by Corsican filmmaker Thierry de Peretti tensely unspools as a poignant regional portrait and coming-of-age tale dashed with crime, political radicalism, and youthful idealism. This immersive sensory experience, set in a desolate Danish limestone community, is a portrait of a young man trapped in an unforgiving isolation. From an atmospheric thriller set in Iran, uncanny and moving sketches of displaced people, to a musical documentary and an atypical dance film, these five bold shorts evoke the struggles and joys of communities from around the world. The irreverent, melancholic, and transgressive impulses of youth collide in this program of four films, each set within its own impeccably crafted, hermetic world. Tickets are $12 for Members, Students & Seniors / $17 General Public. Opening Night and Closing Night tickets are $20 for Members, Students & Seniors / $25 General Public. Opening Night Party Pass also available: attend the Opening Night and Party for $50. 3+ Film Package – Minimum of 3 films required. Tickets just $10 Members, Students & Seniors / $13 General Public. All Access Pass – See everything in the series for $1,000, including two tickets to every film, two tickets to Opening Night and Party, invite to Filmmaker Brunch, and invite to Industry Party. Student Pass – See everything in the series for $50, excluding Opening and Closing Night films. Note: Film Society member complimentary tickets can not be used for this series. MoviePass is accepted at the Film Society of Lincoln Center for regularly-priced films and series, and this year we are proud to accept for New Directors/New Films at both venues. Admission is not guaranteed. For app-related customer support, contact MoviePass. New Directors/New Films is presented by the Film Society of Lincoln Center and The Museum of Modern Art and is supported by the Annual Film Fund of The Museum of Modern Art, Film Society’s New Wave, The New York Times, American Airlines, The Village Voice, Shutterstock, and Hudson Hotel.